1) (Otterden, co. Kent). Vert on a fess or, three lions ramp. of the first. 2) (Tottenham, co. Middlesex). Same Arms. Crest—Out of a mural crown or, a griffin’s head ar. 3) (Ludlow, co. Salop). Ar. on a chief az. two catharine wheels of the first. Crest—A lion’s head couped ar. charged on the neck with a catharine wheel gu. 4) (co. Salop). Gu. three catharine wheels ar. on a chief or, a talbot courant sa. a border engr. vert. 5) (Stoke, co. Surrey). Or, a camel sa. betw. two catharine wheels in pale az. on a chief of the last a catharine wheel ar. enclosed by two bezants. Crest—A camel’s head erased vert bezantée. 6) or Wheler (Burbury, co. Warwick, originally of Martin-Hussingtre, co. Worcester; granted 1535). Or. a chev. betw. three leopards’ faces sa. Crest—On a ducal coronet or, an eagle displ. gu. 7) (Kyrewood House, co. Worcester). Or, a chev. betw. three leopards’ faces sa. Crest—On a ducal coronet or, an eagle displ. gu. 8) (co. Worcester). Per bend az. and gu. a fishweel in bend or, on a chief of the last a wolf’s head erased sa. betw. two pellets. 9) (Hyde Park Gardens, London). Per bend az. and gu. A fish-weel in bend betw. two fleurs-de-lis or, on a chief of the last a wolf’s head erased vert betw. two hurts. Crest—An Angola goat’s head erased vert, horned or, holding in the mouth a fleur-de-lis gold. Motto—Avito jure. 10) (Jonah Wheeler, Bishop of Ossory, 1613-40; impalement Fun. Ent. Ulster’s Office, 1634, Mathew Terrell, whose wife was Sarah Wheeler, dau. of the bishop). Gu. three catharine wheels ar. spiked or. 11) (Leyrath, co. Kilkenny; descended from Jonah Wheeler, Bishop of Ossory; Reg. Ulster’s Office). Or, a chev. betw. three leopards’ faces sa. Crest—A talbot sejant ar. gorged with a plain collar or, and charged on the shoulder with a mullet gu. 12) (Stuncarter, co. Kilkenny, afterwards of Dublin; descended from Joseph Wheeler, brother of Jonah Wheeler, Bishop of Ossory; arms allowed and pedigree registered by Betham, Deputy Ulster, 1819, to George Wheeler, Esq., High Sheriff of the city of Dublin, 1818). Same Arms, a crescent for diff. Crest—On a ducal coronet or, an eagle displ. gu. a crescent for diff. Motto—Facie tenus. This is an occupational surname denoting a person who made or used wheels, an important job in medieval Europe since wheels were made of wood and hence fragile, requiring a great deal of maintenance and attention, also known as a wheelwright. The name was originally spelled Wiehler (earliest known ancestor was Thomas B. Wielher was born in England in 819 AD), which derives from the Anglo-Saxon word wel or wiel, meaning fortunate or prosperous, and the Anglo-Saxon words hari or heri, meaning warrior (related to the modern word hero). Hence, the name literally translates as “lucky warrior” or “prosperous hero”. Some spelling variants or names with similar etymologies include Wheehler, Wheeller, Wheeleer, Wielher, Welere, Whelere, and Weweler. The last name Wheeler ranks 223rd in popularity in the United Status as of the 2000 Census. The name ranks particularly high in the following six states: Vermont, New Hampshire, Idaho, Montana, Georgia, and Oregon. The surname Wheeler frequency/commonness ranks as follows in the British Isles: England (220th), Scotland (778th), Wales (227th), Ireland (1,357th) and Northern Ireland (1,229th). In England, it ranks highest in county Berkshire. In Scotland, the surname ranks highest in Moray. In Wales, it ranks highest in Monmouthshire. In Ireland, it ranks highest in Queen’s County. In Northern Ireland, it ranks highest in Antrim. The name is also present throughout the remainder English speaking world: Canada (557th), New Zealand (275th), Australia (313th), and South Africa (842nd). A one Roger le Weweler was documented in Sussex, England in 1249 AD. The Hundred Rolls of 1273 AD, a census of Wales and England, known in Latin as Rotuli Hundredorum lists one bearer of this surname: Hugh le Welere in Cambridge. Richard le Whelere was recorded in the Close Rolls in 1347 AD. Robert le Whelere was documented in the Calendarium Rotulorum Originalium. William Wheler was recorded in county Somerset in 1327 AD in Kirby’s Quest. John le Whelare was documented in the Subsidy Rolls of Worcestershire in 1275 AD. Thomas le Wegheler appeared in the Feet of Fines of Sussex in 1284 AD. Stephen le Whelere was recorded in the same document in the year 1317. A one Gilbert Whyler was recorded in the Pipe Rolls of Surrey in 1351 AD. Gilbert Wheeler (or Wheler) was recorded in the Register of the University of Oxford in 1593. Early marriages involving this surname include Ann Wheler to Arthure Mayo at St. Michael, Cornhill in 1591 and Thomas Wheeler to Judith Hiliar at St. Mary Aldermary in 1691. The Wheeler genealogy of this line begins with Edward Wheeler, Esquire of Kyrewood House and Lambswick, son of Edward, who married Mary Wood, and had three issue with her: Edward (married Mary Anne Graham and later Hannah Pardoe), Vincent Wood, and Mary. His son Vincent Wood Wheeler, Esq. 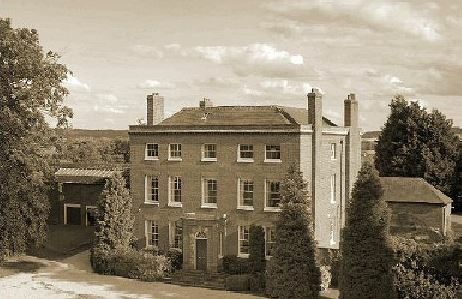 was a Justice of the Peace and Deputy Lieutenant of Kyrewood House, sometimes lived at Newnham Court, was born in 1786. In 1816, he married Cecilia Maria, daughter of Sir William Smith of Eardiston House. He later married Frances, daughter of James Graham of Ludlow. He had a daughter named Mary Anne and a son named Edward Vincent. His son Edward Vincent Wheeler was an Esquire of Kyrewood House and Newnham Court, Tenbury, county Worcester, as well as a Justice of the Peace (for Salop, Hereford, Worcester) and Deputy Lieutenant (for Hereford and Worcester) and a High Sheriff who was born in 1831. 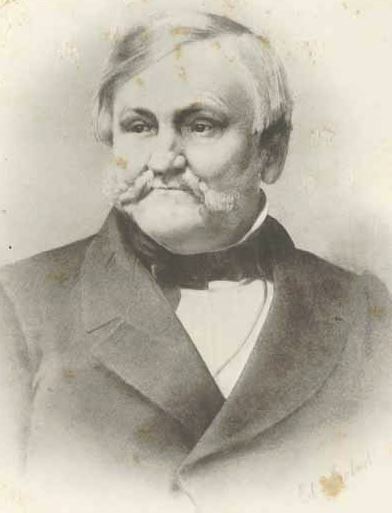 In 1854, he married Marianna, daughter of Reverend James Volant Vashon, and had three children with her: Edward Vincent Vashon, James Volant, and Mary Anne Vashon. The Wheeler Coat of Arms (or Wheeler Family Crest) is blazoned in heraldry as follows: Or, a chevron between three leopards’ heads sable. Crest: On a ducal coronet or, an eagle displayed gules. They were seated at Kyrewood House, Tenbury, county Worcester, England. This branch of the Wheeler family tree begins with Charles Wheeler of Fairford and Kempsford, county Gloucester, who married Frances, and died in 1712. His youngest son was John Wheeler of Fairford who was born in 1691. In 1713, he married Elizabeth Hicks and had issue with her. Their second son was also named John. This John was born in 1721. In 1747, he married Mary Herbente, and had issue with her. One son was John Wheeler of Fairford, and afterwards of Little Compton, was born in 1749. In 1767, he married Elizabeth Speckford and had issue. His youngest son was Reverend Francis Wheeler, of Moulton, county Northampton, was born in 1788. He married Elizabeth Rogers and had a son with her named Benjamin. Benjamin was of Northampton in 1824 and in 1848 he married Mary, daughter of John Hieron Radford of Nottingham. He died in 1889 leaving nine issue: Benjamin Francis, Sir Arthur (1st Baronet), Sarah Elizabeth, Annie, Mary Ellen (married Arthur Kingham of Rounton, Nascot Wood, Watford), Alice (married Arthur Winton Thorpe), Catherine Grace (married Arthur Gavin Stevenson), Bertha Radford (married Revered Frederick Olinthus Sutton, and had issue with her), and Emily Martin. 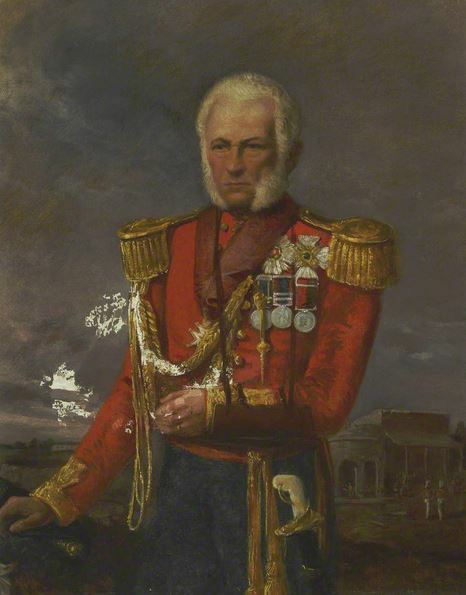 Sir Arthur Wheeler, 1st Baronet, was Deputy Lieutenant, Justice of the Peace, and High Sheriff in county Leicester. He was born in 1860. In 1896, he married Mary, eldest daughter of Frederick Pullman of Nottingham, and fathered five children with her: Sir Arthur Frederick Pullman (2nd Baronet), John Hieron (married Gwendolen Alice, daughter of Alfred E. Oram of Kirby Muxioe, had issue John Frederick and Benjamin), Catherine Maru Victoria (married John Reginald Leeson of Ashcroft), Nancie Radford. 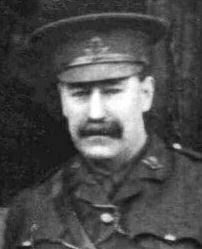 He died in 1943 and was succeeded his eldest son, Sir Arthur. Sir Arthur Frederick Pullman Wheeler, 2nd Baronet, was of Woodhouse Eaves, county Leicester, was born in 1900. In 1938, he married Alice Webster, youngest daughter of George Heath Stones of Rutherglen. The Wheeler Coat of Arms (sometimes mistakenly called the Wheeler Family Shield) has the following heraldic blazon: Sable, a chevron between in chief two talbot’s head erased, and in base an eagle displayed, all or. Crest: A talbot’s head sable, eared and charged on the neck with Catherine-wheel or. Motto: Promisso sto. They resided at Greenhill, Ulverscroft, county Leicester. The progenitor of this family was Thomas B. Wielher was born in England in 819 AD. He married a woman named Mary Ann and had a son with her named Bounty. This Bounty Thomas Wielher was born in England in 848 AD. He married Mary B. Tillie and had a son with her named Hinge. This Hinge Wiehler was in England in 873 AD. He married Elizabeth Small and had a son with her named Thomas. This Thomas Wiehler was born in England in 903 AD. He married Elizabeth Bells and had a son with her named Thomas. This Thomas Hinge Wielher was born in England in 926 AD. He married Virginia Walles and had a son with her named George. This George Hinge Wiehler was born in 970 AD. He married Ellen Engel and had a son with her named Ellen. This John Hinge Wielher was born in England in 1000 AD. He married Jane Ellen Binge and had a son with her named John. This John Thomas Wiehler was born in England around 1025 AD. He married Jean Jones and had a son with her named Thomas. This Sir Thomas Wiehler I was born in the Brittish Kingdom, England in 1056 AD. He married Elizabeth Runner and had a son with her named Thomas. This Sir Thomas Wielher II was born in 1084 AD. He married Rebecca Lynn Wheel and had a son with her naed Edward Thomas. This Sir Edward Thomas Wiehler I was born in England in 1113 AD. He married Sisanna Hanna, and had a son with her named Edward. This Edward Thomas Wiehler II was born in Bibb, England in 1139 AD. He married Elizabeth Toriey and had a son with her named Charles Thomas. This Lord Charles Thomas Wielher I was born in England in 1167. He married Cara Terry Hains and had a son with her named Charles. This Lord Charles Thomas Wielher II was born in Bibb, England in 1198 AD. He married Ruth Ann Williams and had a son with her named Richard. This Lord Richard Wiehler was born in England in 1225 AD. He married Rachel Lynn Wilks and had a son with her named Thomas. This Lord Thomas Wielher was born in England in 1254 AD. He married Terry Lynn Wells and had a son with her named Richard. This Lord Richard Welert I was born in England in 1279 AD. He married Eliza Ellen Evens and had a son with her named Richard. This Lord Richard Welert II (or Wiehler or Welere) was born in England in 1310 AD. He married Jane Ann Londonderry and had a son with her named John. This Sir John Welere was born in Bedfordshire, England around 1348 AD. He married Patty Suel Milk and had a son named Thomas. This Thomas Welere was born in Cranfield, England around 1375. He married Elizabeth Mary Phillips and had a son with her named Richard. This Richard Phillips Welere (or Wheeler) who was born in Cranfield, Bedfordshire, England in 1399 AD. He married Mary Elizabeth Booth and had issue with her. 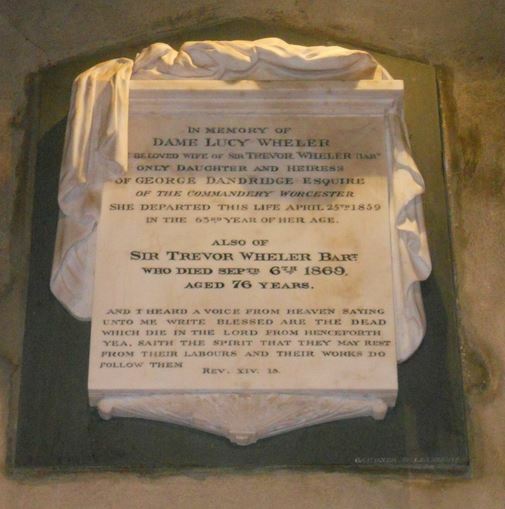 His son was Henry Wheler or Henry Cole Wheeler was born around 1415 in Cranfield Parish, Bedforfdshire, England. He married Joan Robyn and had issue with her named Richard and Mary Elizabeth. His son Henry was born in Cranfield in 1433. He had three sons: Sir Thomas, John, and Richard. His son Sir Thomas Wheeler or Wheler was a Knight born around 1465 in Bedford. He married Joan Buckingham and had the following issue with her: Edward, William, Alice, Henry, John, Richard, Richard, Thomas, and Obadiah. His son Henry was born in Cranfield around 1503. He married Henry twice (once to Isabel Allen) and had the following issue: Thomas, William, Ann Baker, John, Agnes, Henry, Joan, and Cranfield. His son William was born in Cranfield, Bedfordshire, England around 1527 AD. 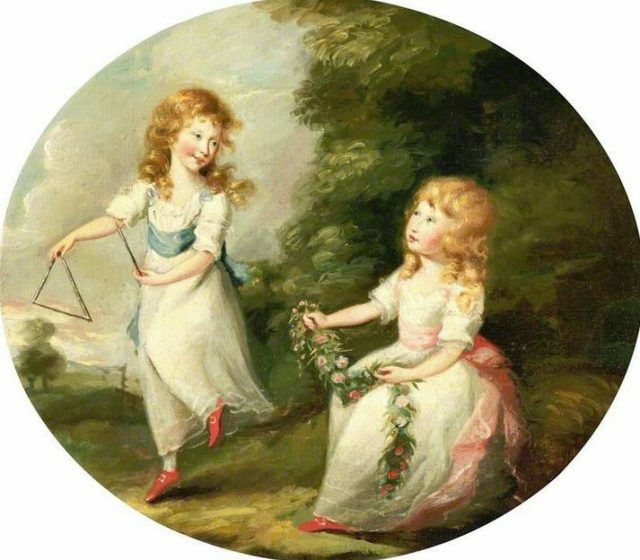 He married Agnes Dudley and fathered the following children with her: William, Margaret, Richard, and Isabel. His son Richard was born in 1553 AD in Cranfield, England. He married Joan and had a son named Richard. This Richard Wheeler was born the same town around 1578. He married Elizabeth and had a son named Lieutenant Thomas Wheeler. Thomas was born in Cranfield, England before 1606 and he came to the New Wordld. He died in New Haven, Connecticut, having the following children: John, Ephraim, Nathaniel, Joseph, Samuel, Obadiah, Eleazer, Josiah, and Joseph. His son John was born in New Haven in 1640. He married Sarah Sherwood and Ruth Clark Fitch Plumb. He had the following issue: Sarah Mitchell, Elizabeth Burch, Thomas, John III, Ruth Richardson, Mary, Mercy, and Dinah. His son John Wheeler III was born in Woodbury, CT in 1684. He married Ruth Stiles and fathered the following children: Caleb, Obadiah Sr., Samuel, Lois Atwood, John, Abigail, Jesse, and Seth. His son Caleb was born in Woodbury, CT in 1705. He married Martha (last name unknown) and Lydia Clark and had the following issue with her: Simeon, Caleb, David, John, Preserved, Ruth, Sarah, Martha, Abigail, Ashbel, Gideon, and Ruth. His son John was born in 1741. He married Lois Dudley and had a daughter with her named Lydia who was born between 1746 and 1806. Henry Wheeler was recorded as living in Virginia (at Bucke Row) in February 1623. He came aboard the Tryall in 1620 at the age of 20. Edward Wheeler, age 18, came to Virginia aboard the Plaine Joan in May 1635. John Wheeler, age 23, came to Virginia aboard the Assurance in July 1635. Richard Wheeler, age 24, came to Virginia aboard the Thomas in August 1635. William Wheeler, age 22, came to Bermuda aboard the Dorst in September 1635. William Wheel came to the New World aboard the Bachelor in May 1679. John Wheeler came to New England aboard the Returne in August 1679. John Wheeler owned 20 acres of land in the parish of St. George’s, Barbados in 1679. Other early settlers in colonial America bearing the Wheeler surname include: Hester (Virginia 1619), Henrie (Virginia 1620), Isaac (Massachusetts around 1630), Henry (Virginia 1623), Anders (Philadelphia 1627), Phillip (Virginia 1704), Mary (Virginia 1705), Francis (Virginia 1705), Henry (Virginia 1722), and John (Philadelphia 1744). In Canada, one of the earliest settlers bearing this last name was Ruth Wheeler who came to Nova Scotia around 1750 AD. In Australia, one of the first bearers was William Wheeler, a convict from Shropshire, England who came to New South Wales (then a penal colony) aboard the Almorah in 1817. In New Zealand, some of the first settlers with this surname were William Wheeler who came to Tamaki, Auckland in 1840 and Edwin Wheeler who came to the city of Wellington in the same year. 1) Isaac Wheeler of Boston, Massachusetts, 1638. Arms: Or, a chevron between three leopards’ faces sable. Crest: On a ducal coronet or, an eagle displayed gules. Motto: Facie tenus. 2) Samuel H. Wheeler, Esq. of Bridgeport, Connecticut. He bore the same arms as Sergenat Francis Nichols (Azure, a fesse between three lions’ heads erased or. Crest: A tiger sejant ermine. Motto: Illi nunquam cedunt). 3) Archer C. Wheeler, Esquire of Bridgeport, CT. He bore the same arms as Sergenat Francis Nichols. 4) William Bishop Wheeler, Esq. of Bridgeport CT. He bore the same arms as Sergenat Francis Nichols. 5) Daniel Fairchild Wheeler of Bridgeport, CT. He bore the same arms as Sergenat Francis Nichols. 6) Mrs. Hobart R. Wheeler of Bridgeport, Connecticut. She bore the same arms as Sergenat Francis Nichols. 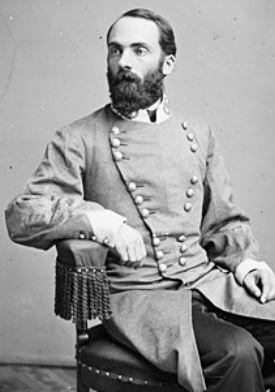 7) General Joseph Wheeler, of Alabama and DC. He bore the same arms as Sergenat Francis Nichols. 1) Everett Pepperrell Wheeler of New York City was born in 1840 and was educated at New York College and Harvard University. His first wife was Lydia L, daughter of Silas Hodges. His second wife was Alice, daughter of Pres. 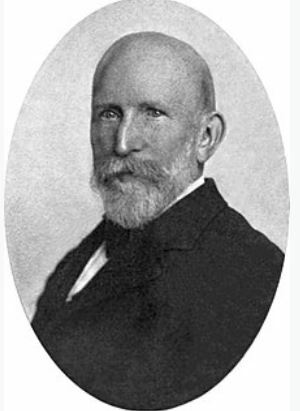 D.C. Gilman. He had five children: David Everrett (married Mabel Blanche Whitney), Annie Lorraine (married Gilbert Rober Livingston), Ethel Jarvis, Winifred Fay, and Constance Fuller. He was the son of David E. Wheeler and Elizabeth Bartlett Jarvis. He descended from General William Pepperrell Baronet, who commanded Colonial forces at the Siege of Louisbourg in 1745. 2) General Joseph Wheeler was born in August, Georgia in 1836 and was of Alabama. He graduated from West Point and was the commander General of the Army Corps of Confederate Cavalry and a Member of Congress from 1880-1900. In 1866, he married Daneilla Ellen, daughter of Richard Jones of Courtland, and had the following issue with her: Joseph (Captain), Thomas H., Lucy Louise, Julia Knox, Annie Early, Ella, and Carrie Peyton. Arms: Vert, on a fesse or three lions rampant of the first. Crest: Out of a mural crown or a griffin’s head issuant argent. 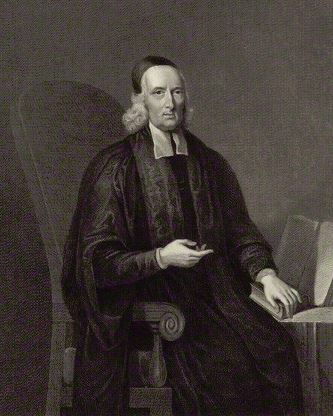 He was the son of Joseph Wheeler (1787-1866). He descended from Moses Wheeler who was born in Kent, England in 1598 and settled in New Haven, CT in 1638. 3) Moses Wheeler, born in Kent in 1598, settled in New Haven, Connecticut. Arms: Vert, on a fesse or three lions rampant of the first. Crest: Out of a mural crown or a griffin’s head argent. Charles Bolton’s American Armory (1927) does not an entry for this surname. There are hundreds of notable people with the Wheeler surname. This page will mention a handful. Famous people with this last name include: 1) Joseph Wheeler (1836-1906) who was a famous American military commander known as “Fighting Joe” who was a cavalry general in the Confederate Army during the Civil War (primarily in the Western Theatre) and was also a United States General during the Spanish American War and the Philippine-American War, 2) Burton Kendall Wheeler (1882-1975) who was an attorney who became a United States Senator from Montana from 1923-1947, a Democrat born in Hudson, Massachusetts, 3) Clayton L. Wheeler (1876-1950) who was a politician who served in the New York State Assembly and Senate, 4) David Hilton Wheeler (1829-1902) who was an American academic, newspaperman, and college president who served as US ambassador to Italy during the Lincoln administration, 5) Earle Gilmore Wheeler (1908-1975), nicknamed “Bus” who was an army General who was Chief of Staff from 1962-1964 and Chairman of the Joint Chiefs of Staff from 1964-1907, 6) Ella Wheeler Wilcox (1850-1919) who was an American author and poet born in Johnstown, Wisconsin, best known for her work Solitude, 7) Wayne Bidwell Wheeler (1869-1927) was an American attorney and prohibitionist from Brookfield, Ohio who joined the Anti-Saloon League, 8) William Fletcher Wheeler (1824-1894) who was a U.S. Marshall in the Montana Territory born in Warwick, New York, 9) William Almon Wheeler (1819-1887) who was the 19th Vice President of the United States during the Rutherford B. Hayes, as well as a former member of the US House of Representatives, born in Malone, New York, and 10) Kenneth “Flex” Wheeler (1965) who is a retired American professional body builder born in Fresno, California, also known as “The Sultan of Symmetry” who won the Arnold Classic 5 times and is considered one of the greatest bodybuilders to have ever lived. The three most prevalent heraldic symbols in the Wheeler Coat of Arms (sometimes erroneously called the Wheeler Family Crest) are the catherine wheel, lion rampant, and leopard’s face. Given the martial nature of the origins of Heraldry, in the identification of knights and men-at-arms it can come as no surprise that mediaeval weaponry of all types are frequently to be found in a coat of arms. The Catherine wheel is an extraordinary device, being a large, spiked wheel, the instrument of martyrdom of St. Katherine.